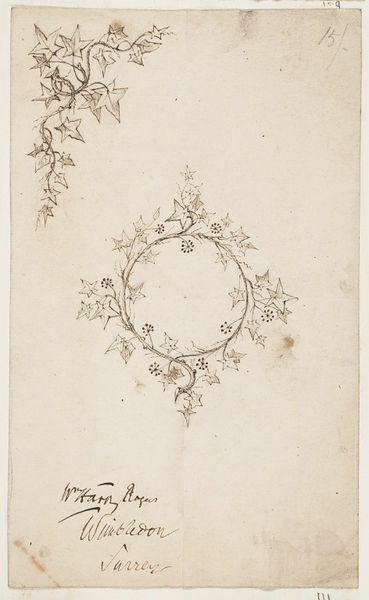 Design for a book cover with ivy at the top left and other foliage in a circle at the centre of the design. 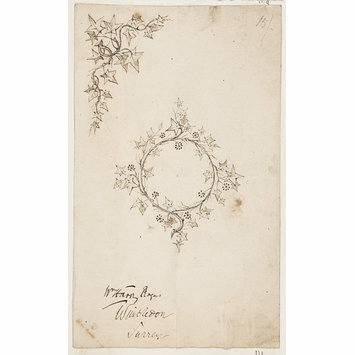 Pen and ink on paper, stuck into an album of designs for walking stick and door handles, cutlery, glass vessels, stained glass, book covers and clasps. Ball, Douglas 'Victorian Publishers' Bindings'. London: The Library Association, 1985. 90 p. and 155 p.